Boston Light sits at the entrance to Boston Harbor on Little Brewster Island. This light is the oldest lighthouse in the country and it is also the last manned by the US Coat Guard. There is a museum at the bottom floor and then you climb the 76 stairs to the very top of the tower for a view of Boston Harbor. There is also a 25-minute walking tour led by historically costumed guides that explore the waterfront's rich 400-year history with you. British troops in 1776. Boston Light was immediately rebuilt and this tower is the one that still stands today. In 1859, the lighthouse was renovated and 14 feet in height was added, bringing it to a total of 98 feet. Otherwise the structure has remained much the same since then. evacuated Boston at the close of the Revolutionary War, but was later rebuilt in 1783. 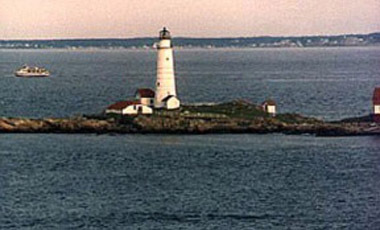 The first lighthouse keeper, George Worthylake, lit Boston Light's beacon for the first time on September 14. Worthylake, who was paid a paltry 50 pounds a year for his services, drowned just two years later when his boat capsized on a trip to Boston. Worthylake's wife and daughter also lost their lives, along with a family friend and a slave named Shadwell. Shortly after the drownings, 12-year-old Benjamin Franklin wrote a poem called "A Lighthouse Tragedy", depicting the incident. The Worthylakes were buried at Copps Hill Cemetery in Boston's North End, where their remains still lie today. 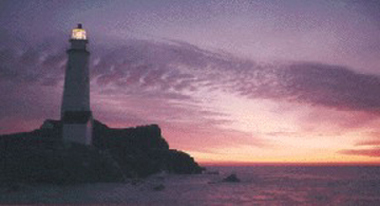 There are cruises which will take you on a sea breezy ride to view lighthouses in the area. There are a total of eight to be seen. Today, Boston Light is a National Historic Landmark and one of Boston Harbor's most prized treasures. Its beacon, flashing at 10-second intervals, shines 16 miles out to sea. Little Brewster Island is open to the public. For more information call (617) 451-2860.